These are just a few of the capabilities in the professional filmmaker's toolbox that together create films and videos that appear almost alive with creativity, beauty and emotion. And there are even some free video special effects applications that can help you create a limited selection of those effects, programs like Movie Moments for Windows and iMovie for iOS and Mac. These video effects download programs are great as long as limited functionality is not a problem, including strict limits on video length, effects and audio, and a handful of supported formats. What if you had a toolbox with ALL of those capabilities, a video effects download that could allow you to transform your movies shot on camera, tablet or smartphone into gorgeous and entertaining professional-quality videos? What if you could have a free video special effects application on your computer that could create Hollywood-style results? Welcome to the possibilities of Wondershare Filmora9! Currently, there are two ways that you can get the special effects in Filmora9. You can use the built-in effects in the Filmora9 video editor or you can get some free and paid effect packs or sets in Filmora Effects Store. Let’s check out more information in the following sections. Filmora9 video editor includes free video effects download that is easy to use, fun to create with, and ABSOLUTELY FREE! It's compatible with most video formats on the market, so you don't need to worry about finding a converter or not being able to share your videos. It's even optimized to make sharing on social networks easy. You don't need to be a computer or editing expert to enjoy Filmora9 video editor. The interface is designed with a gentle learning curve, so even beginners can jump right in and begin creating within just minutes. Editing, special effects, sharing and more are powered by drag-and-drop – it doesn't get any faster or easier! Perhaps the best thing about Wondershare Filmora9 video editor: it's still growing! This powerful video editor has built in effects downloading which is adding new special effects and features all the time – its ability to ignite your videos and turn your movies into entertainment that you control is constantly expanding. 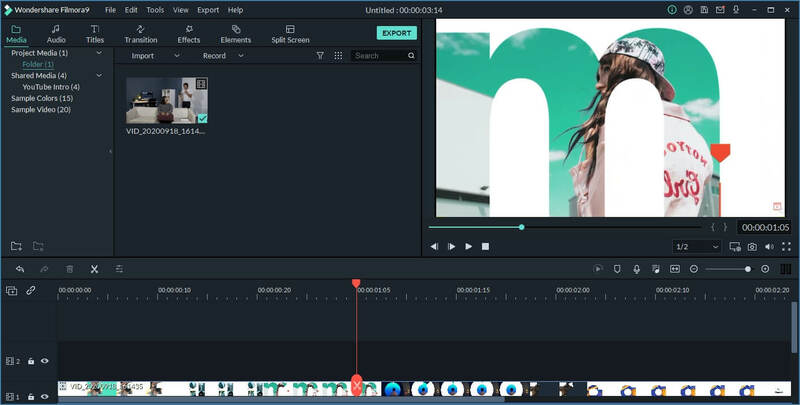 Wondershare Filmora9 video editor is available in versions for Windows and Mac OS, so no one is left out from the opportunity to create masterpieces on video, edit them, add special effects and audio elements, and then share with friends, family and the entire world on social media. Free titles & texts templates and presets, including openers, titiles, lower 3rds, subtitles, and end credits and rolling credits. Stunning filters, overlays and elements: camera-shake effect, night life effect, background blur effect, distortion, Instagram-like filter, bokeh blurs, lens flares, old film style, or TV static, or emoji etc. Besides the built-in effects that you can use in Filmora9 directly, you can also find some more effects in Filmora Effects Store. Currently, there are some free packs available, such as spring pack, birthday pack, and romantic pack. You can also get paid effects pack like blockbuster, gaming, wedding etc.